With qualified and experienced electricians as part of our team we are very approachable and reliable and committed to delivering a high quality finish with all our work. We offer a full range of electrical services to enhance your home from complete re-wires to security and garden lighting, through to bespoke lighting design and installation with Lutron and Rako. We can offer help and advice for all aspects of the project including design, purchase of the fittings and budgeting. All our work is inspected, tested and appropriate certificates given on completion. We also carry out all works in accordance with BS7671 and current building regulations. 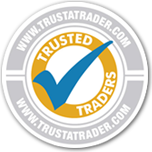 We have been a Part P registered domestic installer since 2005 when it became a legal requirement, giving you peace of mind with your electrical installation. We can also carry out PAT testing if required.